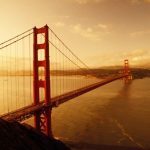 San Francisco, California is a dynamic city of nearly 1 million people, and growing, and one of the most popular tourist destinations in the United States because of the many attractions that will appeal to any TALK student who decides to study here. When not attending class or studying, student of TALK English Schools can experience a truly wonderful city with no end to excitement and beauty. Here are some things to do in San Francisco that we at TALK English Schools feel you must see. 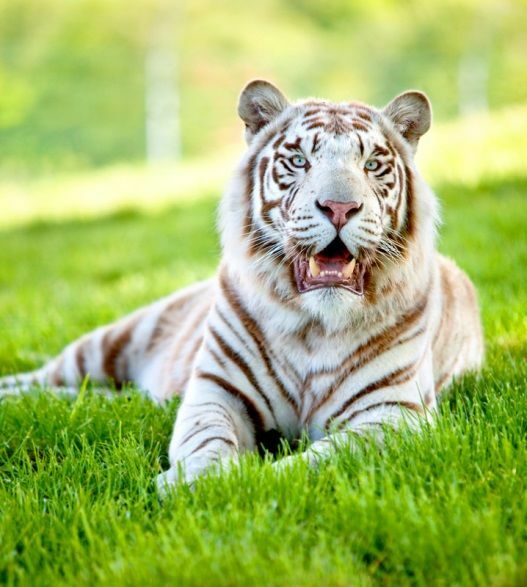 The San Francisco Zoo is a very big zoo – 100 acres in all – which houses over 250 species of animals. The zoo is located at 1 Zoo Rd, San Francisco, CA 94132, and is situated along the Great Highway between the Pacific Ocean and Lake Merced. 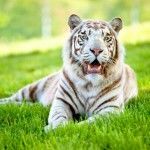 Opened in 1929, this zoo has undergone a lot of expansion and additions to its family of species. It now features a range of amphibians, birds, mammals, invertebrates, and reptiles. In addition to the animals, the San Francisco Zoo is also home to the beautiful gardens. The gardens feature a variety of plants from all across the world. There are also restaurants and eateries scattered throughout the complex. TALK students can also find some quaint and original home souvenirs from the souvenir and gift store. Admission costs from $17.00 to $19.00 for adults. 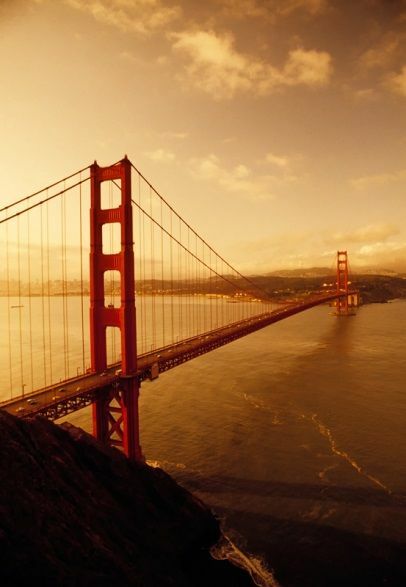 The Golden Gate Bridge is an iconographic landmark in San Francisco. It is one of the most photographed and visited bridges in the world. This bridge is classed as a suspension bridge which spans across the Golden Gate Strait which is a 3 mile long, mile wide channel between the Pacific Ocean and San Francisco Bay. Walking tours are available with a tour guide who has many stories to tell about the history and people involved with the building of this bridge. Parking is available on the east and west sides of the bridge visitor centers on the Lincoln Blvd. Crossing the Golden Gate Bridge can be done on foot or by bike, and provides a breathtaking view of the Bay Area. Alcatraz Island is one of the most infamous prisons located in the USA which is located in the middle of San Francisco Bay, easily visible from and close to the city. 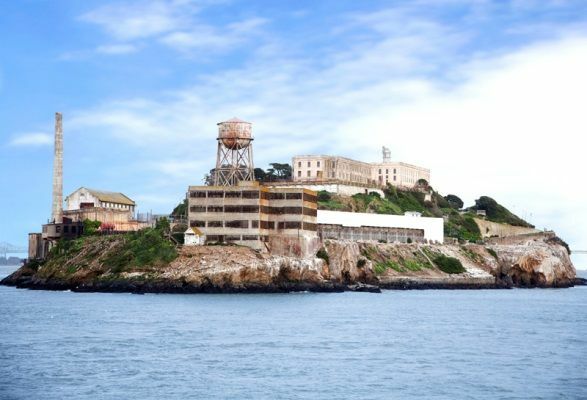 This island is famous for housing the most notorious criminals from 1934-1963 in its federal maximum security prison. Nowadays the prison no longer holds criminals and was closed due to security issues and high costs. Tours are available 7 days a week and should be booked well ahead of time due to big demand. 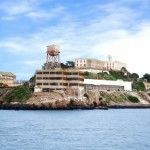 The audio award-winning Alcatraz Cellhouse tour is available in 10 languages including Korean, Portuguese, Spanish, Mandarin, Japanese, Italian, German, French, Dutch, and English. The Alcatraz Night Tour is operates from Thursday-Monday evenings all year round, and, with the rooms lit only by the faint moonlight, this makes for a mysterious and eerie atmosphere.